is a poem to my mother. I've been trying to write this post for about a week - trying to figure out what to write, what words to use, what photos to use. 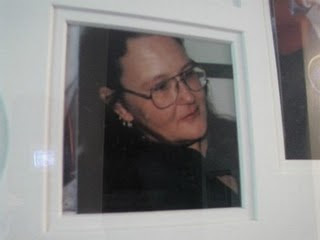 Tomorrow would have been my birth mother's 53rd birthday. She died on April 14, 2007. Even though I was adopted, from the moment I found her, it's like we started up right where we left off back in 1979. Our bond was unbreakable. I was her firstborn daughter, the one she had to give away, the one she was hoping would find her. And I loved her unconditionally. I still do. I will never stop loving her. She was the only one I could talk to about ANYTHING and not have backlash or be judged. We were truly honest with each other. I miss her so much. 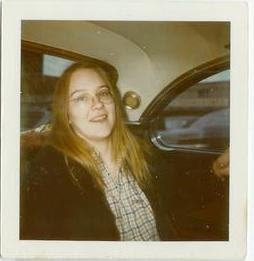 Above is a photo of my mom when she was a teenager. I looked so much like her when I was a teen, it's uncanny. Too bad I don't have any photos to share here. There's not many photos of her floating around... I have to cherish what I have. Love you and miss you mom - I'll see you again someday. A beautiful tribute to the woman who gave you life Angie! You never truly know what the word "mother" means until you become one yourself. What a great post to her. Sorry about the loss so soon in life. Hugs. Absolutely beautiful. Your mom would be so proud of her daughter. You still do look very much like she did as a teen! Wonderful tribute my friend. Your words were very subtle, yet powerful. I can relate to a lot of what you said. My relationship with my Pop was a lot like you described. He died in 2006 and not a day goes by I don't still think of him and miss him. I think she would be proud of you and of the mother you are. Happy birthday to her! Your word are beautiful ,I am so sorry you had to lose her twice. I am sure your mother would be proud of the beautiful, successful woman you have become. I can't imagine the pain of losing your mother. You are a strong woman Angie. Hi, Angie. First, I'm sorry for the loss of your mother. I can't even imagine your grief. On another note, I greatly appreciate what you share here, though you don't know me and we will likely never meet. Wish I were as open, and brave, to do it publicly through a blog, which can definitely be a kind of healing. The intro poem is awesome, too, and your ode is heartfelt, as the first poster commented. Aww, Happy Birthday to your mom Angie. I'm glad you were able to find and bond with her. oxoxo love your personal story! You are so strong and brave! She would be very proud of you! Hugs!